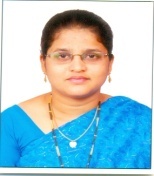 Dr. N.Zafrunnisha obtained her M.L.I.Sc. and Doctoral degree from S.V. University, Tirupati, second ranker in M..L.I.Sc and Gold medalist in M.A (Philosophy). she worked as librarian in different educational institutions in Andhra Pradesh,India. Since from 2011 she is working as an Assistant professor and i/c Librarian in Jawaharlal Nehru Technological University College of Engineering,,Pulivendula (Autonomous). She has 16 years of work and research experience and published research papers around 14 national and international peer reviewed journals, participated and presented papers more than 15 at National level Conferences and participated more than 15 national level workshops at different places of India, and published one book and one chapter at international publishers. Her areas of interest are Bibliometrics, User studies, Digital Libraries etc. The central library of this institute provides facilities for general reading and disseminates information according to the requirements of the students and staff. It is housed in a three stored separate building with a built-up area of 2134 Sq.ms in three floors. Ground floor: Librarian room, Reception counter, Digital Library, Library book shelves,UPS room, Newspaper reading section, Magazine section, and Store room. First floor: Reading and reference section, staff room, store room. Second floor: SC/ST Book bank, Staff room, Store room. Working Hours: The library is kept open throughout the year except for six days i.e., three national holidays and three festival holidays. Reprographic service and reference service to the users. SC/ST Book-Bank: SC, ST Book-Bank was established in the year 2016 to meet the academic needs of SC, ST students of the college. These books are supplied by the SC, ST welfare departments, for the benefit of SC,ST students. The book-bank is working under the supervision of Ms. VIMALA.V officer-in-charge of library.